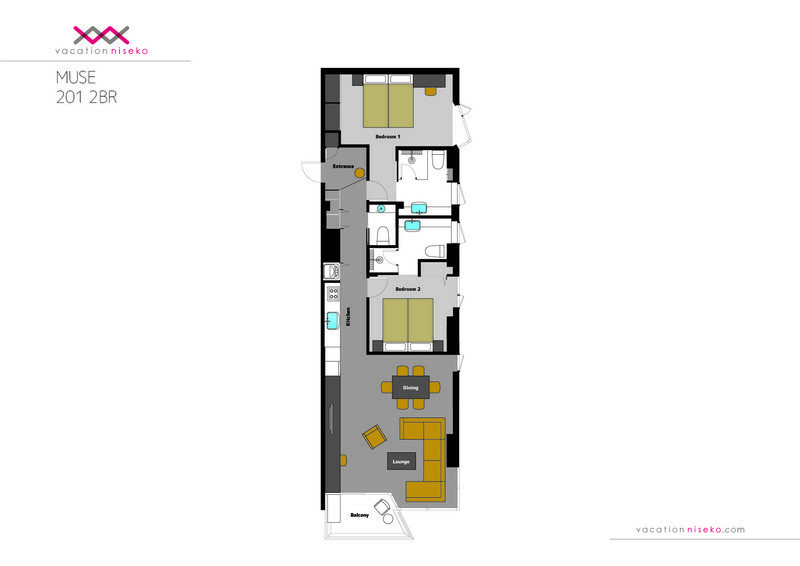 This is a spacious 2 bedroom apartment on the second floor with 2 en suite bathrooms for maximum convenience. Its living room and balcony face Mt Yotei. "Loved the property. The staff were awesome, friendly and quick to help. The location was perfect, Gorilla cafe across the road, very hip Northface shop below. When I return this winter and next summer, I will only be staying at the Muse." "This was probably as close as a skiing holiday can get to perfection! 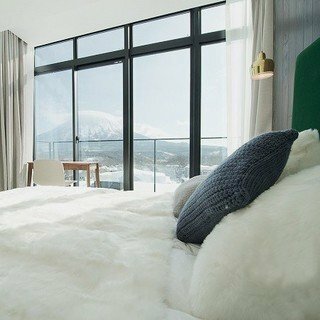 Fantastic snow, not too crowded and a stunning accommodation at Muse Niseko. The unit we stayed at was beautifully furnished, with an incredible view. The kitchen was well equipped, and the bedrooms spacious. Not sure what they could have done better...."
"The location is absolutely fantastic. 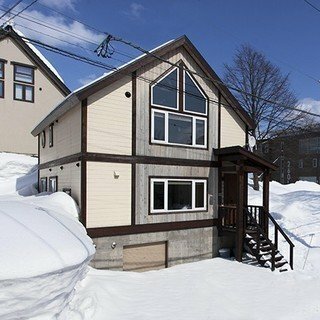 It’s close to shops, restaurants and most importantly the ski lift. The apartment is spacious with modern fittings and view that makes you go WOW." "Superb location, excellent standard of accommodation and very well equipped. Really appreciated the concierge service, i.e. lifts to and from gondola station." "Beautiful apartment in a great location - easy access to both chair lifts and restaurants. Really helpful service form the staff especially prior to the trip, organising lift passes, ski hire and restaurant bookings. Loved our holiday."